I know this is a little overdue but….MERRY CHRISTMAS AND HAPPY NEW YEAR 2010 everyone!!!! 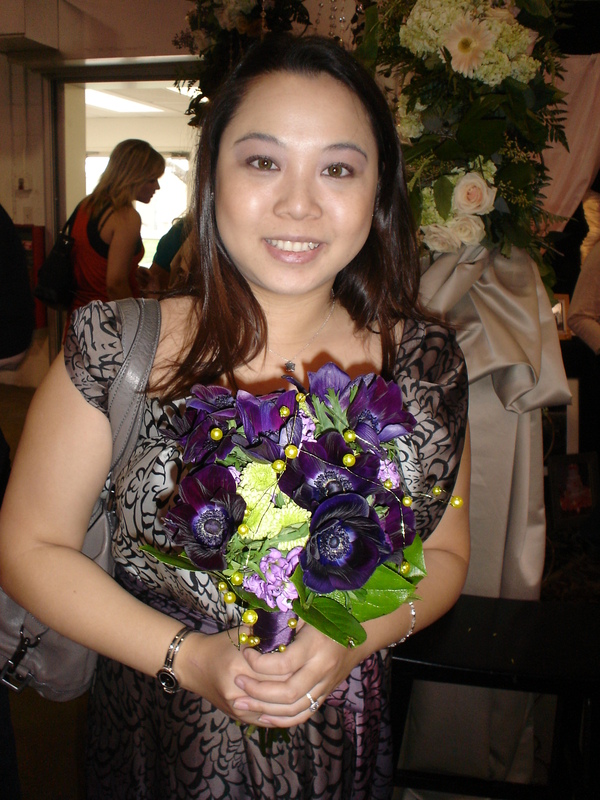 This year I hope will be the turning point for me to make a lot of brides happy with my services. 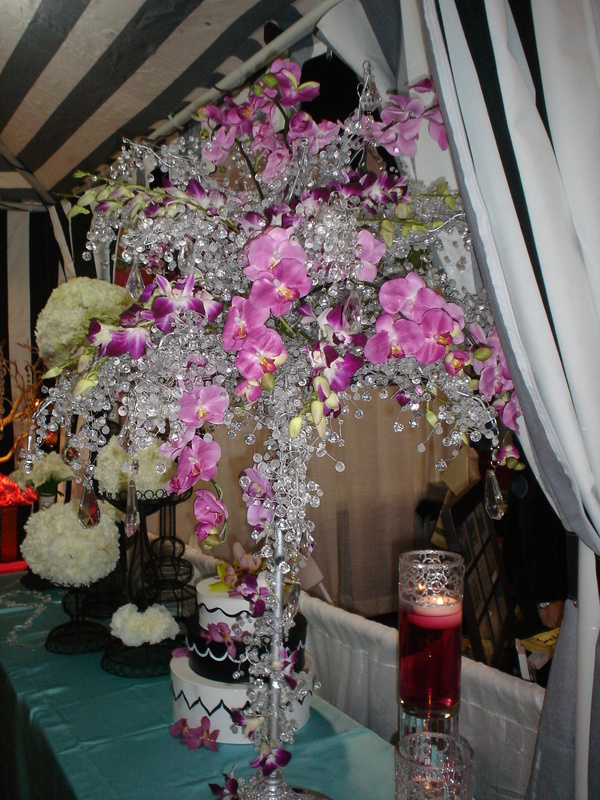 I will be going to several bridal show this year to familiarize myself more with vendors. 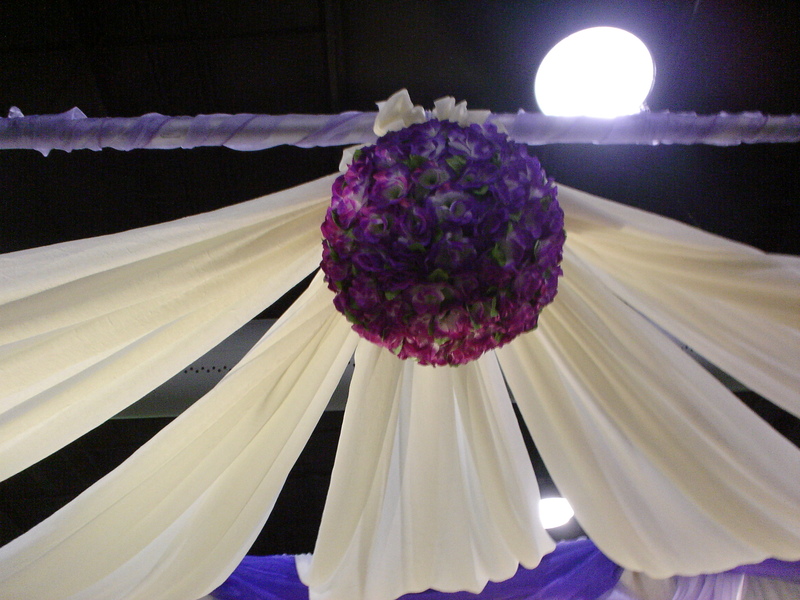 The first show of the year that I attended was the Bride World Expo. 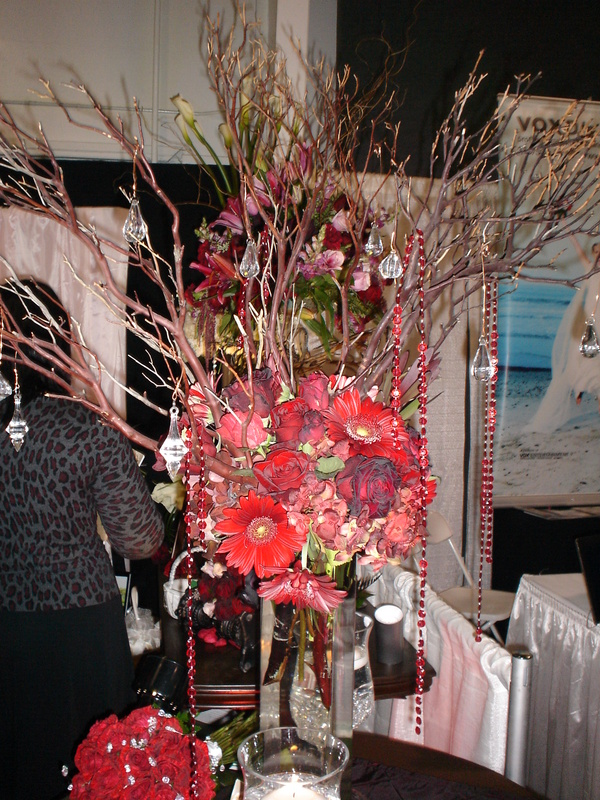 My experience at a bridal show was the bomb!!! I had lots of fun and got a lot…I mean a lot of brochures from various vendors. I also had the chance to network and promote my name out there. 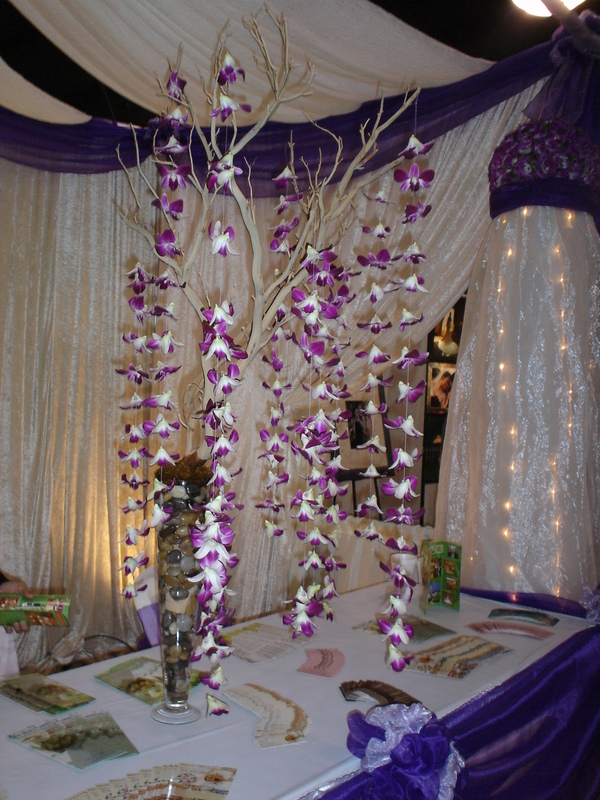 I’m hoping in the future to be able to have a booth at a bridal show. If I do, make sure you come out to support!!! I took a lot of flower pictures because they were the ones that got me most attracted to. The next show I’m going to, I’ll make sure to take more pictures so you can also experience it with me. 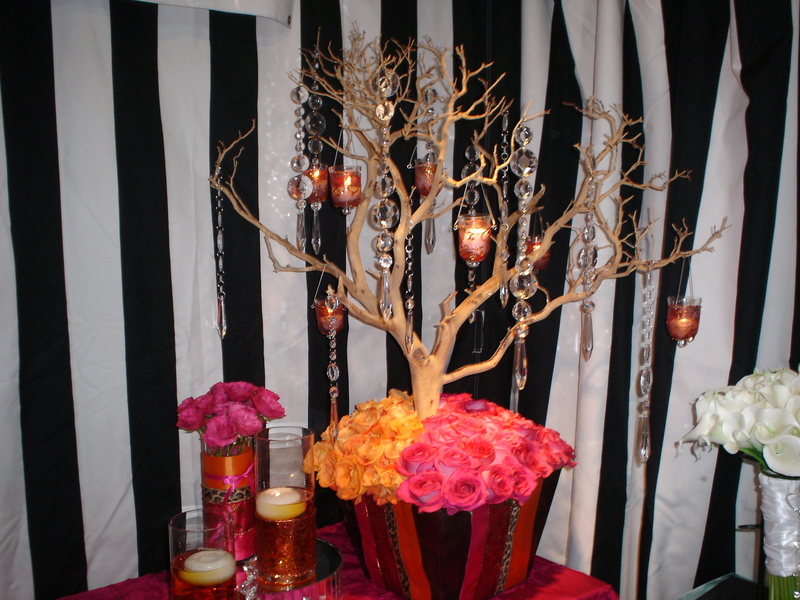 Centerpiece for a summer wedding….so vibrant with red colors. 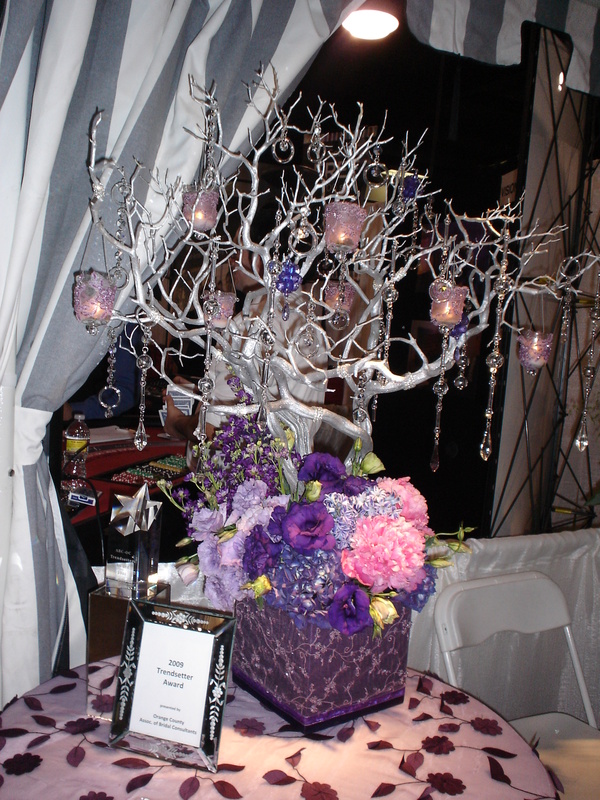 I took this picture because I thought….this would look amazing as a centerpiece for a winter wonderland wedding! OK so this centerpiece is SOOOOOOOO going to end up at MY wedding. It’s purple and silver…couldn’t be more perfect! 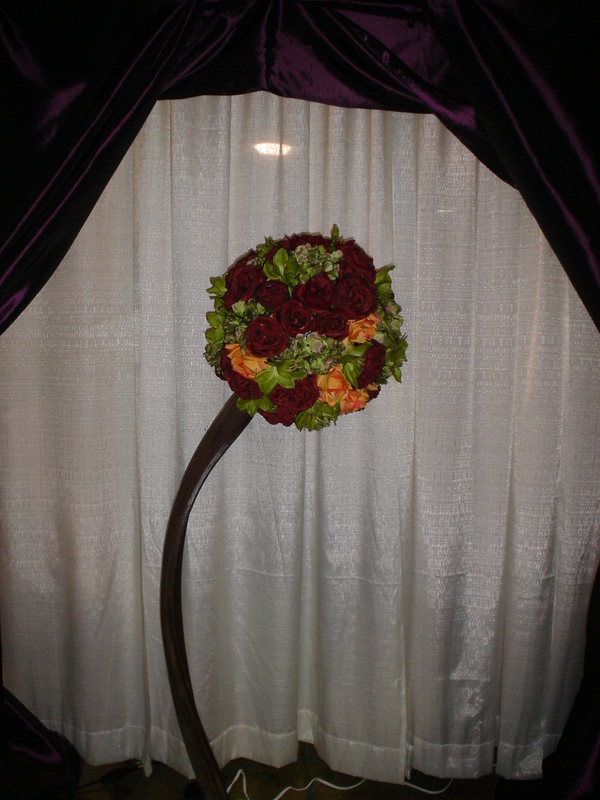 Autumn wedding centerpiece…orange, red, pink….awwww…..soooo pretty!!! 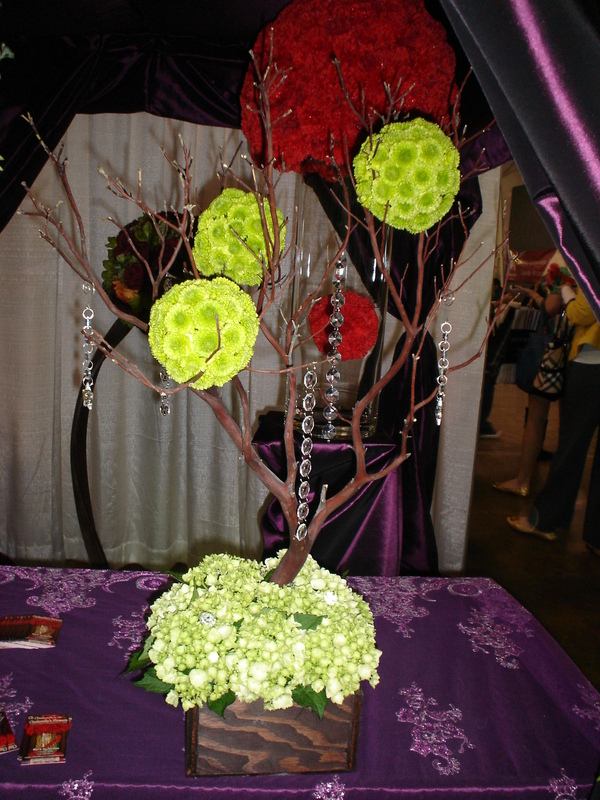 A springy centerpiece with green accent flowers. 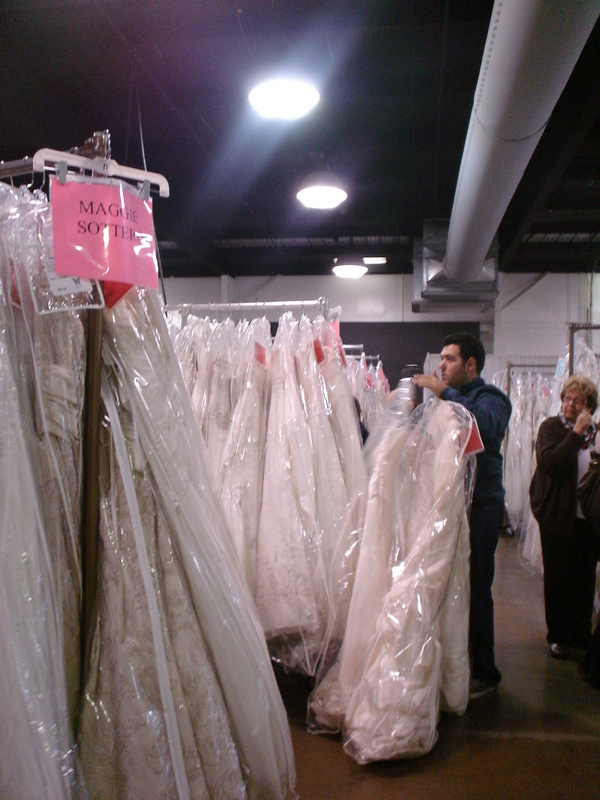 The wedding dress section….I was amazed with the dresses price…I saw some at $100!!!! 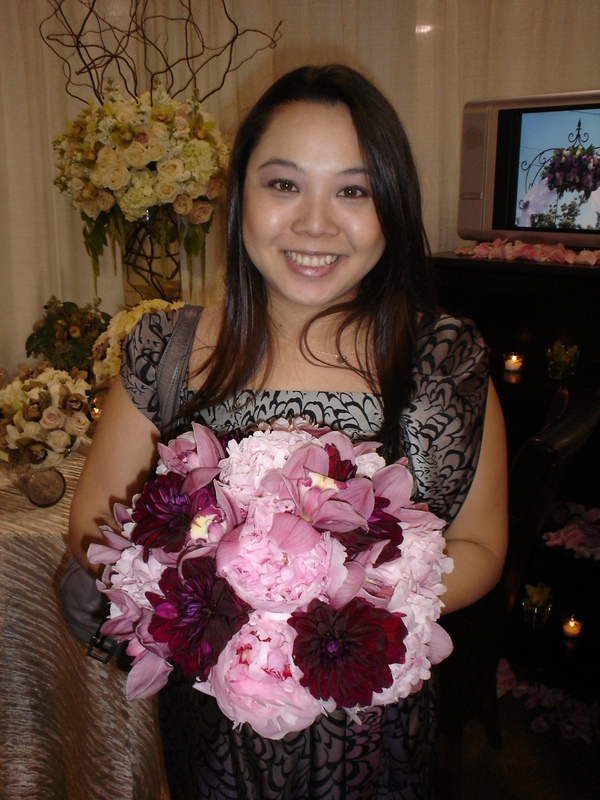 Surrounded with all these beautiful flowers, you know I had to put my face in there somehow!